An appointment syste m is in operation in our surgery. 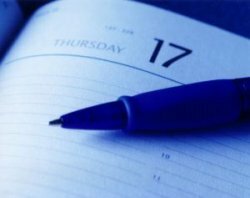 Every doctor has routine appointments that can be booked up to a month in advance. When you call for an appointment the care navigators will ask for a brief description of your symptoms, please do not be offended. This will help them to direct you to the correct person to deal with your medical needs. We do offer on the day appointments for patients who feel they can not wait to see a GP routinely. Emergency appointments are released at 8.00am and again at 1.00pm. It may not always be possible to offer you an appointment slot on the day but we may be able to offer you a telephone call with a GP or other options. You may see any doctor in the practice, but it is better to see one doctor consistently. Whilst mindful of your wishes to see a particular clinician, this may not always be possible at a time convenient to both patient and doctor, and unless you are prepared to accept an alternative arrangement some delay may occur. It is imperative that appointments are cancelled if they are no longer needed. Home visits are for house bound patients or patients who are too ill to travel to the surgery. Home visits must be requested no later that 10.30am on the day to enable the doctor to plan his rounds. Requests are usually vetted so that the doctor can attend cases according to their urgency. After doing an audit for appointments that were not attended the outcome is below. It is vital that if you do not need your appointment that you cancel it. In total the 1166 of 10 minute appointments missed equates to 38 full days of GP appointments. As everyone knows there can sometimes be a struggle to get an appointment this will reduce if appointments are cancelled. The evening service is for patients registered at GP surgery's accross Rochford, Rayleigh, Benfleet and Canvey Monday to Friday 6.30pm - 8pm. The service is held at various locations around Castlepoint and Rochford. 111 have fully trained advisors who will help you get the right medical attention when you urgently need it, 24 hours a day, and can put you through to healthcare professionals.